Spin Out Windsurfing Club Story | Spin Out! “Spin Out” Windsurfing Club belongs to two passionate (to say the least) windsurfers, Alex and Minos. 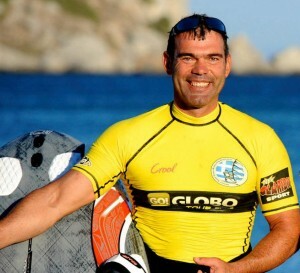 Alex is living in Kos for the last 16 years and considered to be a “local” with excellent knowledge of the conditions. 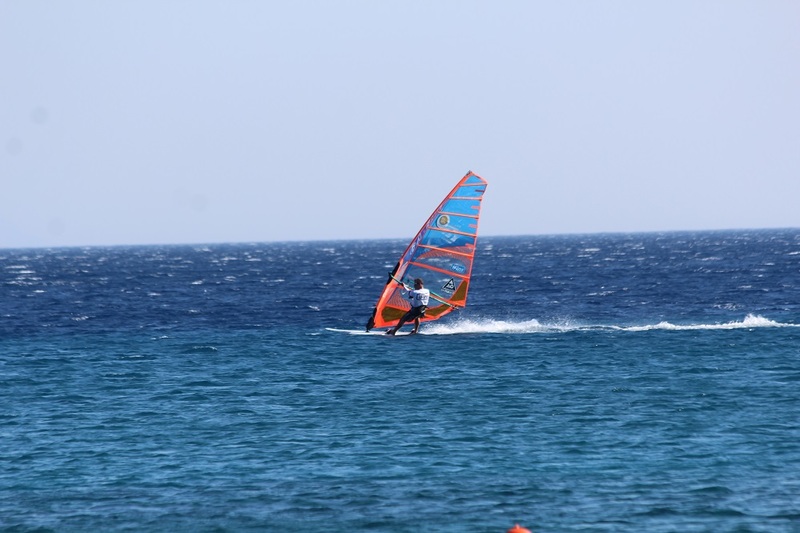 He has participated in many slalom races and at the moment he is leading 2015 Speed Greek Championship. Minos is travelling (mostly with a board) around the world for the last 20 years. National champion for Formula & Slalom in the past, for Speed during 2010-13 and 5th in the European Speed Championship in Fuerteventura. It’s NOT only about windsurfing. Let’s face the truth. What’s a common description of the best windsurfing spot? A “paradise” for those addicted creatures seeking windsurfing excitement and speed. High winds non stop, sand blowing in your face, “wild west” facilities on the beach some phrases to describe windsurfing heaven. Kardamena is not only that. While you are windsurfing or having a crack on a SUP, your friend(s) can enjoy a cold coffee right at the beach or a cocktail in front of the swimming pool next door. Do you have kids (who don’t like to give it a try with our “kid’s special learning program”) with you? No problem! Next to our Club there is a kindergarten playground that will provide them many hours of fun.